Mida is a lamp with an exclusive magnetic system, inspired by the world of haute couture jewels. 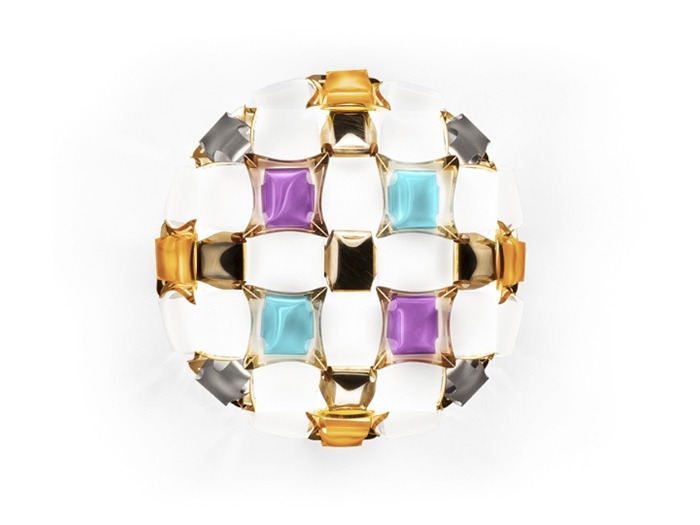 A series of precious gems encrust an almost invisible centre, and polished cabachon are geometrically scattered across a floral corolla with iridescent tones. Mida is available in five colour combinations, Multicolour, White/Platinum, White/Gold, Amber, and Rose, and comes as either a wall or ceiling light.